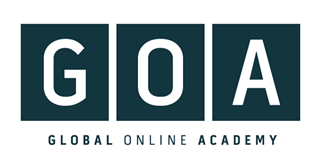 In 2017, Brookstone entered into a partnership with Global Online Academy (GOA). GOA is a not-for-profit consortium of leading independent schools from around the world. GOA offers Brookstone students the opportunity to learn alongside peers from these schools. GOA courses further enrich the Brookstone experience by allowing eligible students to explore their passions through classes offered with GOA. Eligible students may choose to take available GOA courses for credit at Brookstone. GOA course workload and course intensity are equivalent to honors and advanced courses taken in our Upper School. Unlike many online courses, students are not passive recipients of information in these courses. Instead, students collaborate on challenging and interesting projects with students from around the world. They are also expected to demonstrate self-discipline and maturity as they manage their workload and time effectively to support the asynchronous nature of the courses. GOA maintains excellence through rigorous teacher training, building on the best practices and values of leading independent schools - and by ensuring classrooms stay at a small size that fosters strong teacher-student relationships and student-to-student collaboration and interaction. There are currently 75+ high-performing independent schools in the consortium, representing five continents, seventeen countries, twentyone states, and the District of Columbia. All GOA courses are taught by teachers who are currently teaching at a GOA member school.